Here are some interesting transit or St. Louis-related links from around the internet to help kick off your week. The bus painting last weekend at the Green Homes Festival went very well. 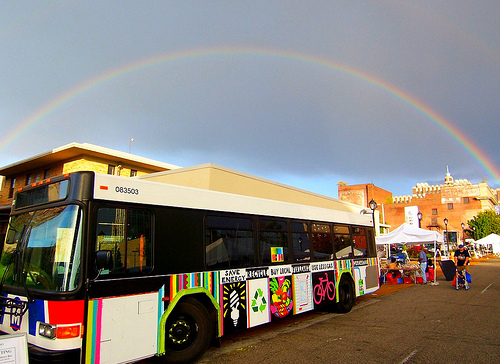 Check out this report on Provacative Nation and Green Homes Festival’s Flickr feed for some great images from the event, including the one below – Mother Nature approves of the bus! STL Rising ponders questions of leadership and how to retain creative people.